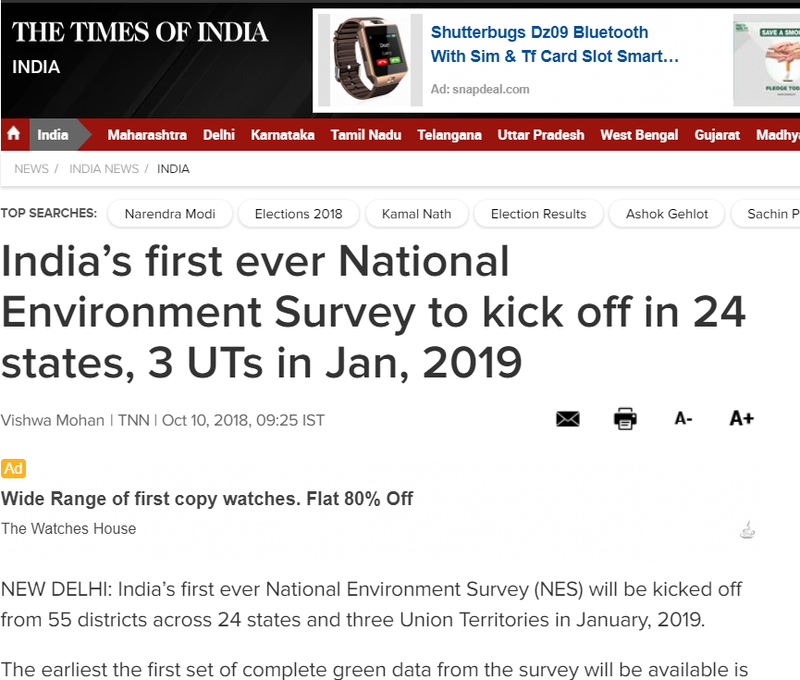 NEW DELHI: India’s first ever National Environment Survey (NES) will be kicked off from 55 districts across 24 states and three Union Territories in January, 2019. The earliest the first set of complete green data from the survey will be available is 2020, providing an important tool in the hands of policy-makers for decision making at all levels - district, state and national. The survey will be done through a grid-based approach, using grids measuring 9x9 km, to collect comprehensive data on various environmental parameters such as air, water, soil quality; emission inventory; solid, hazardous and e-waste; forest & wildlife; flora & fauna; wetlands, lakes, rivers and other water bodies. It will also assess carbon sequestration potential of all the districts across the country. The NES will rank all the districts on their environmental performance and document their best green practices. “Unless policy-makers have exact data on all environmental parameters, they cannot take appropriate decisions. 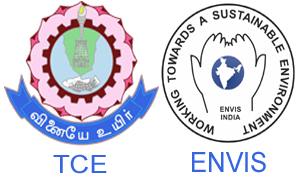 The country’s first ever environment survey will fill the gaps in existing data,” said Anandi Subramanian, head of the Environmental Information System (ENVIS), which will conduct the survey through its hubs and resource partners across the country. At present, the country has secondary data on most of these parameters. The NES will, however, for the first time provide primary data on all the green heads in the same way that the National Sample Survey (NSS) periodically collects various socio-economic data. All 716 districts in the country are expected to be surveyed in a period of three to four years. Currently, all necessary preparatory works and training are being done in all the 55 districts where the NES will be conducted next year. These 55 districts include south Delhi, Pune and Palghar in Maharashtra, Gurugram and Mewat (Nuh) in Haryana, Kullu in Himachal Pradesh, Nalanda in Bihar, Dhanbad in Jharkhand, Jamnagar and Mehsana in Gujarat, Alwar and Barmer in Rajasthan, Coimbatore and Madurai in Tamil Nadu, Shimoga in Karnataka and Hyderabad in Telangana among others.